Follow proven formulas to land more clients and simplify your proposal-writing process. Tested in the real world. Yours for free. What Makes a Winning Proposal? We researched over 25,000 proposals worth $270 million dollars to find the key differences between winning and losing proposals. 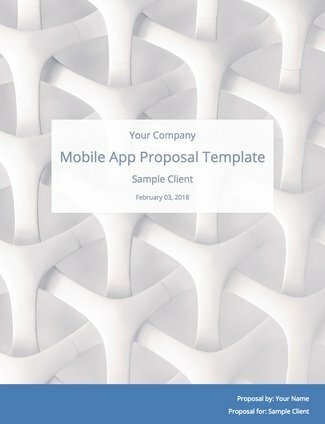 We've taken everything we learned about winning proposals and created this library with sample content, proposal stats, and free proposal templates that you can download. A client must believe you understand their needs. Clearly listing the problems they face, in language they can understand, builds trust and makes the client want to read about the solution. Recommended solutions should directly address a client's needs. The best solutions talk about the problems they're solving and use language that makes sense to potential clients. What are the specific benefits the client will receive from solutions you've recommended? It's important to spell out the benefits of your service (and be as specific as you can). These should be benefits that the client is looking for. Pricing information should be easy to digest, so keep it high level. Make sure the fee description is directly tied to the recommended solution. Think in "fee packages" instead of individual fee items. Ending with a call to action lets a client know exactly what they should do to get the project started. The best calls to action are simple and clear. It’s time to stand out from the pack and land the best marketing clients. 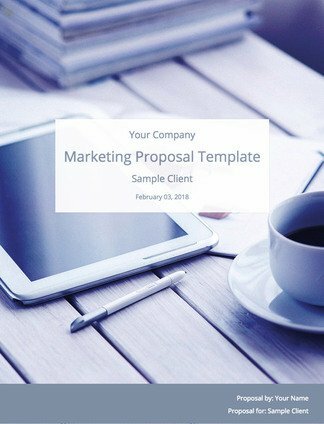 The proposal template for marketing projects provides a persuasive, logical framework you can follow to save time and frustration on proposals while still landing the best clients. Writing website proposals takes can take a lot of trial and error. Check out the Bidsketch web design proposal template kit to get an idea how you should structure your content to give you the best chance of winning projects. You're an expert at building communities online. An awesome proposal will convey that to clients in an unforgettable way. 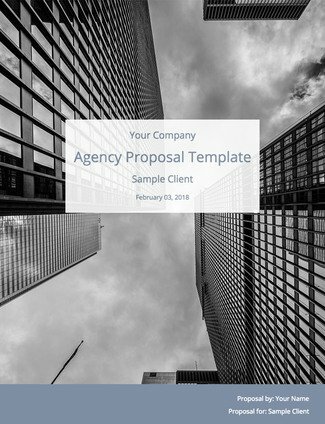 Follow our proposal template step by step to showcase your expertise and land your dream clients. Ready to land the branding clients everyone wants to work with? 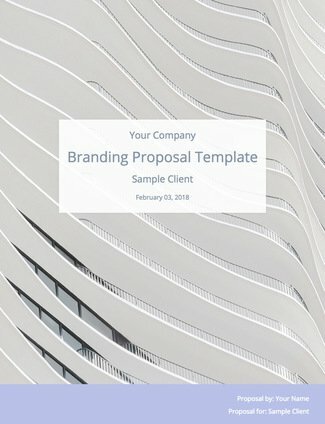 Check out the Proposal Template for branding projects. It gives you a logical framework you can follow to land the best clients and save time and frustration. 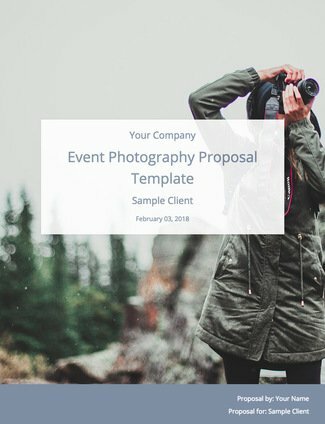 Want to save time on your proposals and still land more photography clients? Check out the Event Photography Proposal. It gives you a framework and real-life examples to make a great impression and tackle proposals quickly and effectively. Want more high-quality consulting clients? 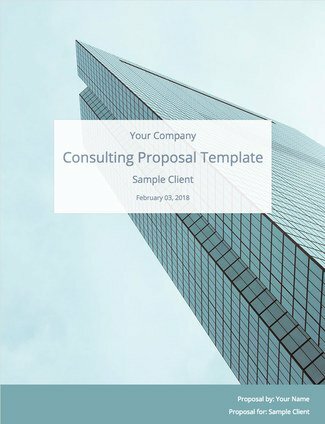 Check out our sale consulting proposal template to make writing consulting proposals painless and more effective. 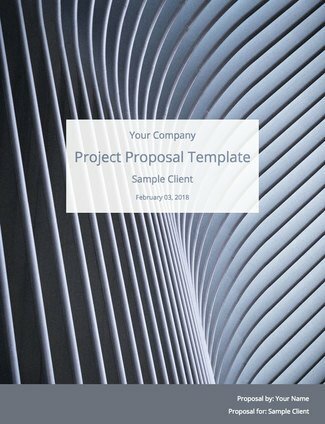 Write better project proposals with the project proposal template. 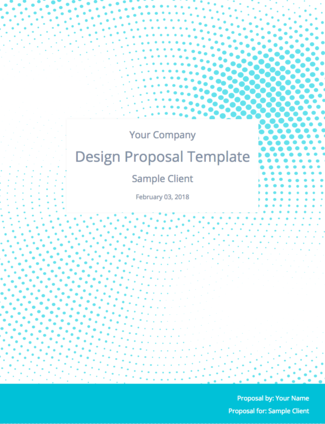 Stop writing proposals from scratch by using this easy-to-customize template, and follow our easy guidelines. Want to write more effective SEO proposals in even less time? 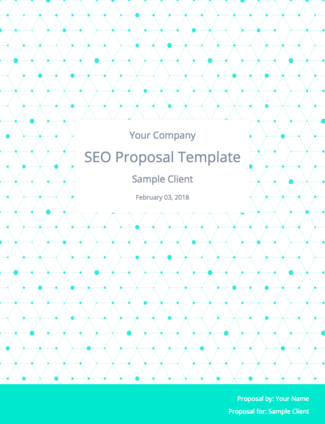 Check out our proposal template geared toward helping SEOs get their dream clients, and stand out from their competitors. A killer web development proposal gets you access to the clients that everyone wants. 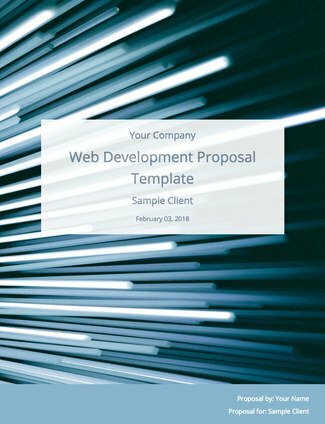 Check out our web development proposal template for a comprehensive framework to write better proposals and stop blending in with your competitors. How do you get the best PPC clients’ attention and convince them to hire you? It all comes down to your proposals. 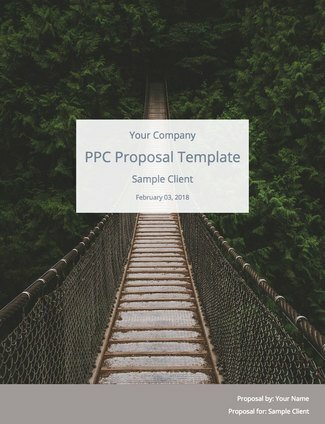 Check out the PPC Proposal Template for everything you need to save time, make a memorable impression, and land the clients you want. It’s time to show your dream clients you’re the best choice for their digital marketing needs. 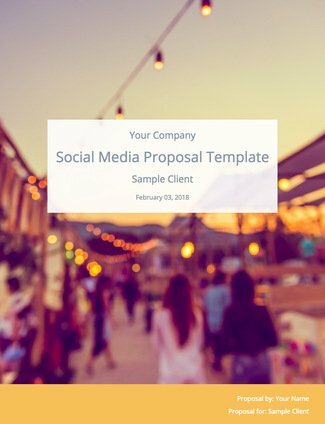 The Full Service Digital Agency Proposal Template gives you a framework so you can stop competing on price and start landing more clients. Check it out. As a designer, it's critical to make a great first impression. 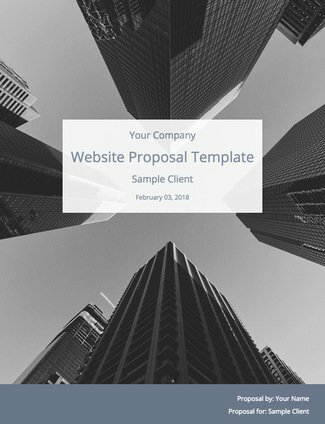 These professional looking (and persuasive) proposal templates will help you land high-end clients, and make that great first impression. Want to spend less time writing copywriting proposals and appeal to your dream clients? 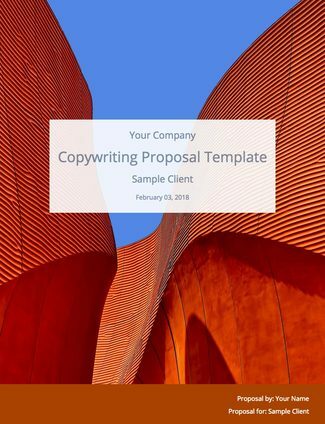 Check out the Copywriting Proposal Template. It uses real-life examples to show you how to get attention, stand out from competitors, and land more clients. It’s time to land the CRO clients you want without all the hassle. 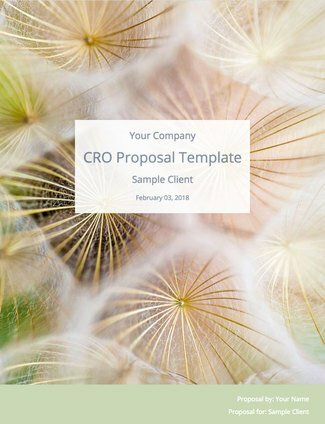 Check out the CRO Proposal Template for step-by-step instructions to get clients’ attention, stop competing on price, and turn your proposals from chores into persuasive sales tools. You can’t stop writing proposals, but you can start using them to make a killer first impression and attract the best clients. 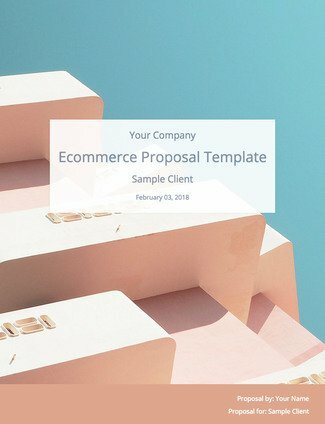 The E-Commerce Proposal Template helps you grab attention and stand out from competitors… without all the hassle. Check it out. The first step to landing dream clients is winning them over with your proposals. 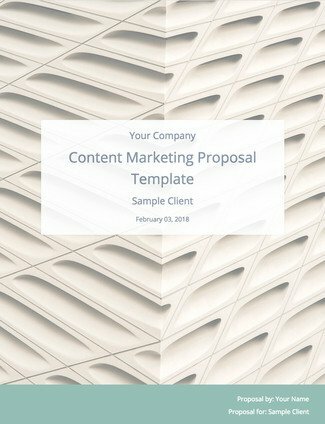 The Content Marketing Proposal Template gives you a framework, along with real-life examples, to help you do it in record time. Check it out. Your proposals can get your foot in the door with dream clients. 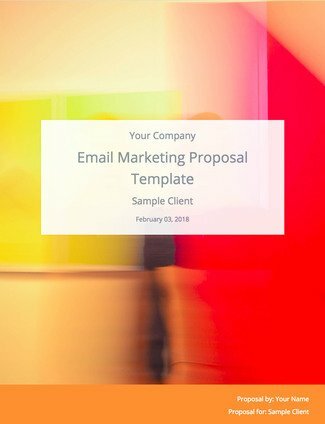 Check out the Email Marketing Proposal Template. It gives you the tools you need to make an unforgettable impression, land the clients you want, and save time while you’re at it. Ready to get your foot in the door with the best WordPress clients? 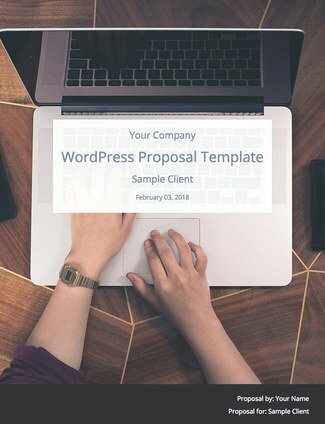 The WordPress Website Proposal Template by WPElevation will help you save time, showcase the full value of your skills, and stand out from all your competitors. 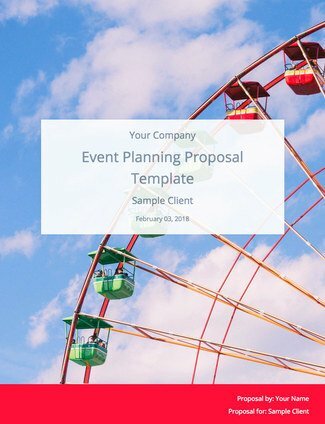 If you want to plan events for top clients, your proposals have to make a killer first impression. That’s where the Event Planning Template comes in. See how to stand out from competitors and attract the best clients. Check it out. Want to stop wasting time and grow your writing business as fast as possible? Check out our freelance writing proposal template and use it to persuade clients to hire you instead of anyone else. It takes a special touch to break down your technical expertise in a way others can understand. 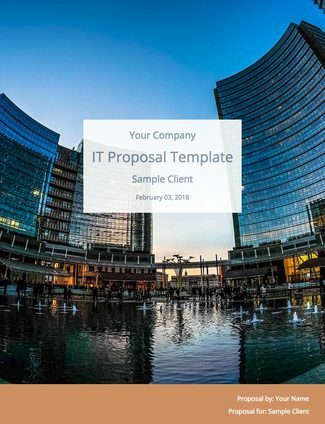 The IT Consulting Proposal Template will help. Follow this simple, proven blueprint to save time and attract your dream clients. Check it out. Tired of churning out proposals that make you invisible to the best photography clients? 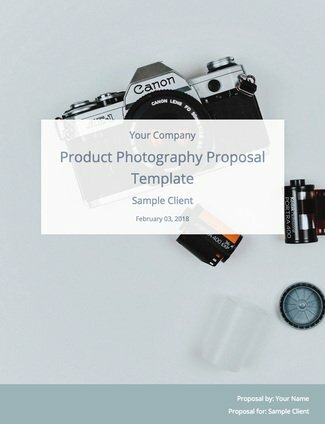 Check out the Product Photography Proposal Template. It gives you a framework to follow to separate yourself from the competition and land more clients in less time. Most of your competitors aren't sending proposals at all. They're sending estimates. Maybe you're even doing it yourself. Our research of over 25,000 client proposals (over $270 million) found that it's critical. Estimates and quotes are created to tell a client what will be done and how much it will cost. They keep the client focused on cost instead of the value they'll receive. Sending a client an estimate might seem like the perfect way to quote a price, but it comes with its own set of big problems. First, only showing pricing takes the client's focus away from the results they're asking for, and emphasizes units of time or the cost required per task. Also, labeling services in the way that most estimates are shown, invites clients to compare your prices with your competitors'. You offer a special service, a real solution for the client. But when you let the dollar value of your work become the focus of communication, you're lowering yourself into a vast pool of virtually identical competition. In the commodity space, work drops straight to the lowest bidder. Estimates tend use technical descriptions which can get complicated. A list of various services, each with its own dollar cost, quickly becomes confusing. Tip: If a client is confused, they probably won’t hire you. Fees should be simple and communicate value. It's not about being creative as much as clearly showing value. This applies whether you're pitching small business or enterprise deals. Proposals are persuasive documents that also include price. They're written to show clients that you understand their company and know exactly how to solve the problems they face. Our research shows that proposals with less than 5 pages are 31% more likely to win. A lot of sales proposals start out great but go on for too long. Knowing what to leave out is just as important as knowing what to include. How can you give potential clients the information they need and remain compelling? Following a proven structure will help you make your strongest points without carrying on too long. Tip: Many clients will read proposals out of order or flip back and forth between sections. So every element should be carefully structured to persuade. Take a look at the proposal examples on this page for a good guide on length. Proposals with upsells generate 32% more revenue. The key is to offer enhanced options. That way, you don't have to do any more selling. The prospective client is already sold on your service, you're just offering to make that service even better. So if you were a creative working with a partner (offering website design), maybe you could offer the enhanced service of mobile-responsive site programming. If you're a marketing agency running Google PPC ads for small business, offer the enhancement of creating the landing pages and drip campaigns that nurture those leads, for a higher ROI. Don't sell the client on something new. Offer them a better version of something they’re already buying. Retainers Recurring services like reporting, maintenance, management of certain tasks/operations, and risk mitigation. Winning services proposals get to clients 26% faster. We found that your turnaround time makes a big difference. Less than 24 hours separated our average winning turnaround time (2.7 days) from the average losing time (3.4 days). It's a fine line to walk. You don't want to be sloppy, but you want to do everything you can to respond quickly. Timing can often make the difference landing a client and missing out. Project proposals can be tedious chores if you're starting from scratch every time. But they don't have to be. 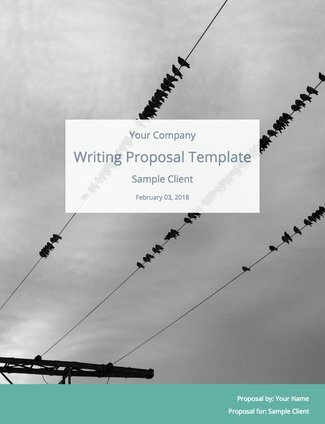 Following the winning proposal templates below will save you time and streamline and proposal-writing process. It's a proven recipe for more clients!